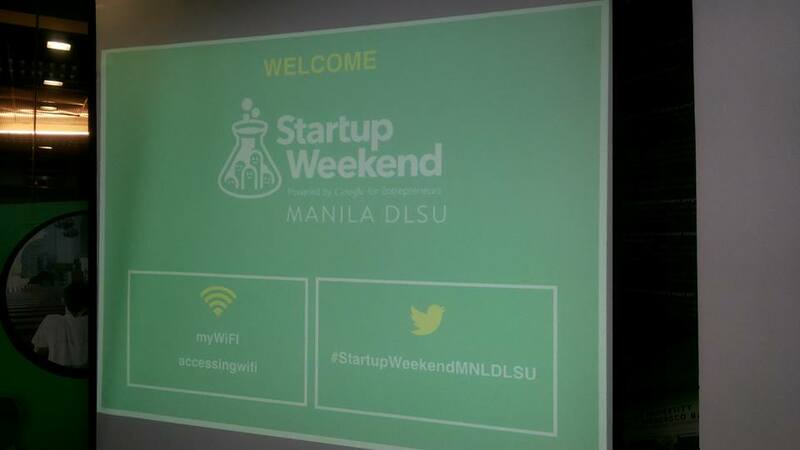 Startup Weekend Manila 2017 just commenced at the Brother Andrew Gonzales Hall, De La Salle University in Taft Manila today. Now on its 3rd year, Startup weekend Manila aims to encourage and produce startups mainly from the youth composed of students and young professionals. The startup sector in the Philippines is still at its nascent stage but has grown in momentum the past five years. Now on its third leg, the Startup Weekend Manila has garnered a record number of participants numbering a little over 100. 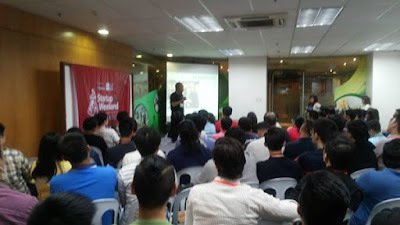 Mostly, the participants have yet to develop their own ideas about what to do for a startup but that is what the Startup Weekend was designed for. The participants are include coders, designers, accounting and finance students and professionals. A good mix for a startup team. The event was opened with a rousing presentation from Startup Mentorship PH's Mr. Carlo Valencia. The talk of Mr. Valencia centered on Failing Fast. The idea is to not to look for an idea. Instead one has to look for problems. Yes, problems to solve. That way a startup will come up with a solution that the target market wants. But not all ideas are perfect. Of every 100 startups, 90 will fail. But according to Mr. Valencia, that is part of the process, a foundation based on failures that will eventually perfect the product or service to be developed. Mr. Valencia exhorted the participants to get out and listen to their customers to find out what they want and need. This will enable them to come up with the correct idea for a process, service or product that can be successful in the market. Come up with an idea, build it, measure it and then learn. That is the brutal evolution to success. Startups are mostly process driven an must be process driven and the only way to winnow out bad ideas is to fail.